In 7 Days to Die, you can build the best and safest houses, but you need various building materials. In our guide we tell you everything about the construction, the materials and resources in the horror-survival. All preparations to build an indestructible fortress in 7 Days to Die are not much. While you try to find building materials, you will also be busy trying to collect other resources. If you have bad luck and try to settle in too warm or cold area, then you have to spend long time working to survive there. 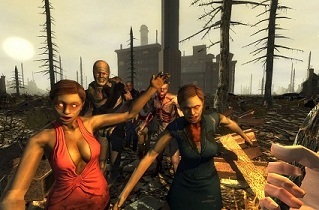 How you survive the first night, we tell you in our guide: 7 Days to Die: beginner's guide and tips for Survival. Of course it is possible for you to use cheats and console commands in order to obtain all the necessary building materials and resources to build a safehouse, but the challenge and is a great temptation to make it on your own. But why is it so important to do it before the seventh night? This night is the most difficult night to survive from the zombies and they will want to eat you. Therefore, you can use the materials you have found to build / expand your house. - Gather a lot of wood, stone and iron scrap. - Find a home that you can construct with these materials. - With an ax you can not only reduce resources but also reinforce. Leverage the time and amplify all the blocks of the house, which can be reached by zombies. For this purpose, you use the resources collected. - Do not forget to reinforce the doors and you can also use the collected scrap iron and wooden boards for this. If you still have time, then hangs wooden spikes around the house. But keep in mind that the wooden spines also consume your resources. The individualized zombies, who are tracking you on the first night in your house, are nothing compared to the Horde coming to you in the seventh night. To reduce the chance repair and amplified all the blocks that are damaged and barricades all windows. There are many more building materials available in 7 Days to Die but we have chosen these, either because they are the most resistant or easiest to craft. While you are busy with the construction of your house, you should not forget to set up traps. Even if you use the most durable materials, they will not stop the zombies forever. For this reason, you should keep them away from the house.